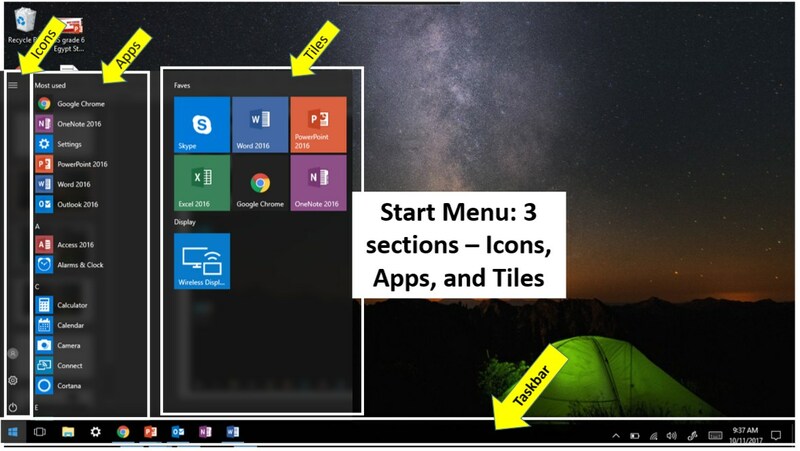 This session will begin by covering the basic layout and user interface of Windows 10, focusing on the desktop features as well as helpful shortcuts and gestures. 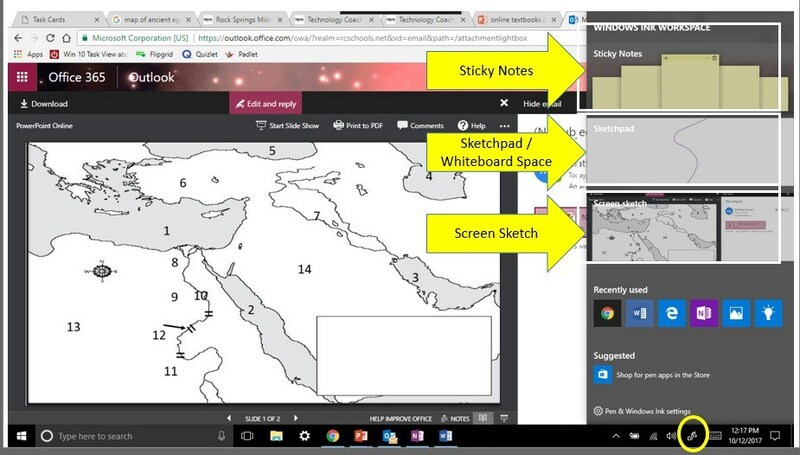 You will then explore laptop connectivity, the Workspace Inking features, and focus on its instructional use in the classroom. Click HERE to open this session's padlet and answer the Bell Work question. 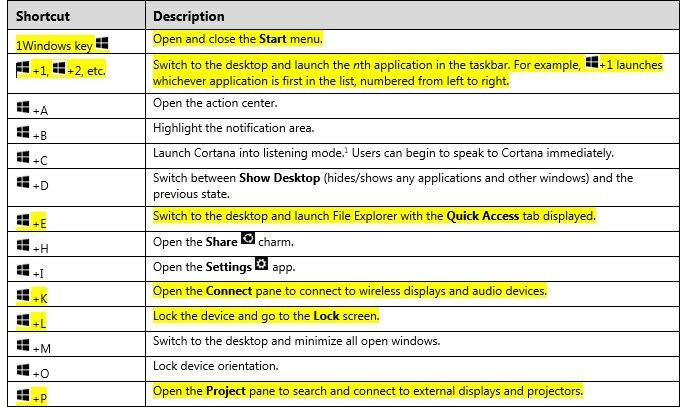 Also, use this to post questions you have about Windows 10/Laptop Connectivity anytime during today's session. Personalize tiles by dragging apps into the tiles section. 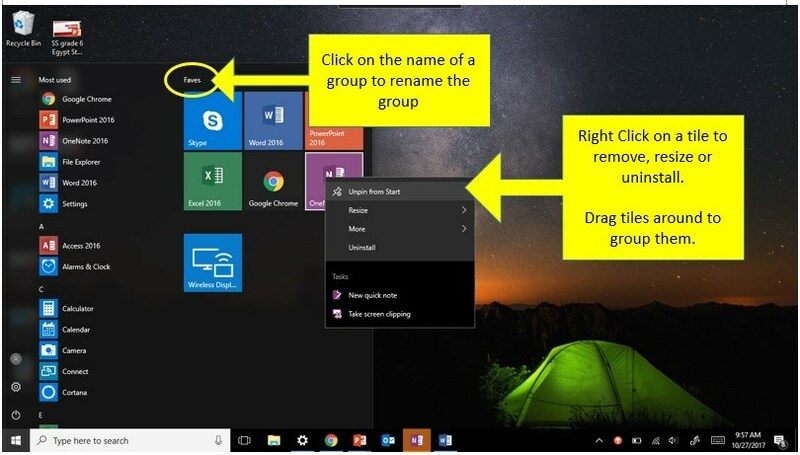 Personalize your task bar by right clicking on apps to add or remove them. 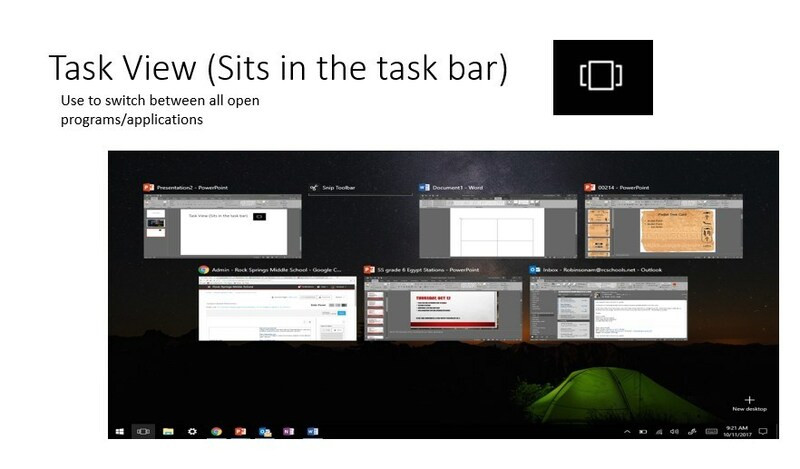 Allows participants to access Desktop documents that won't be visible in Tablet Mode. Search “Word” – notice you get access to the program and to recent documents. Search “student”. It will search for the word in your documents as well as on the internet. 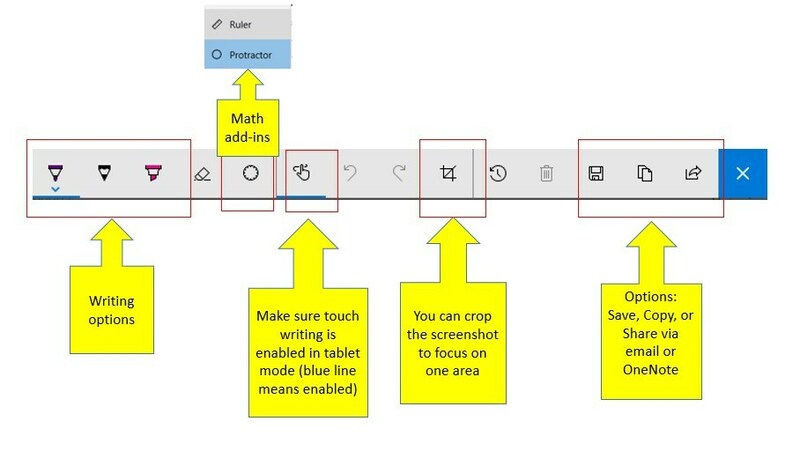 · When you’re in a program in tablet mode, swipe up from the bottom to reveal the taskbar. 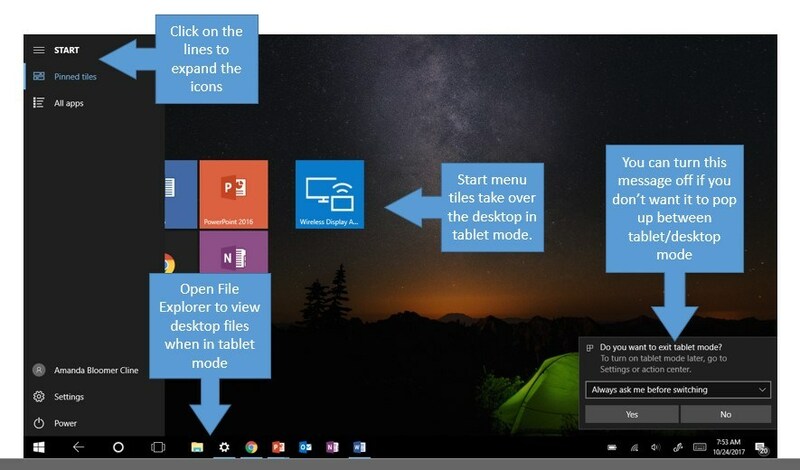 · In tablet mode, the entire desktop becomes the start menu. 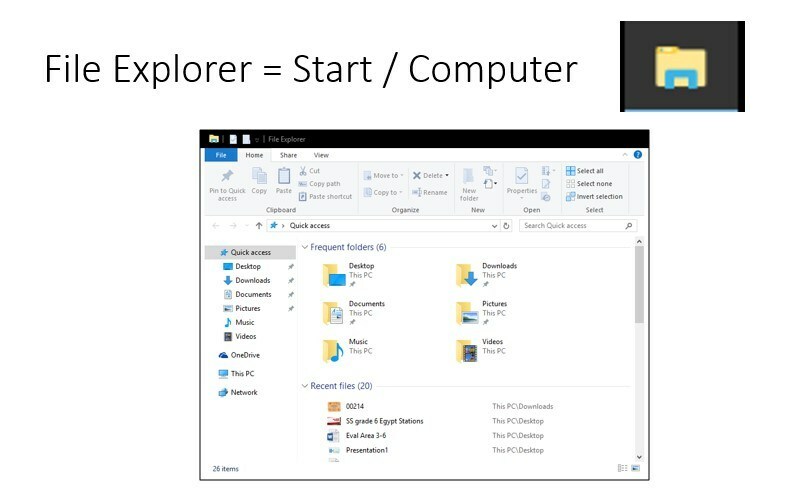 Use file explorer to access desktop files. · If you go back to desktop mode but do not see your desktop, you may need to switch back and forth between modes once or twice. Sometimes it gets “stuck” in tablet mode. Some of these gestures will only work with precision touchpads, so don't fret if a move won't work for you. 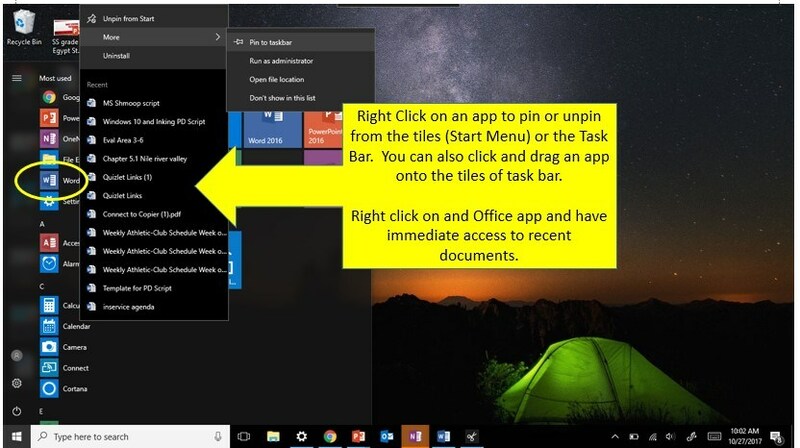 If you do not see this icon on the right side of the task bar, right click on the task bar and select "Show Windows Ink Workspace button"
Click HERE to go to a Map of the US & Capitals. Once on the map, open Windows Ink Space by clicking "pen" and select "Screen Sketch." Notice: the menu bar sits on top right of your screenshot and you are not marking on a live page - you cannot scroll or change views within the inking workspace. Name as many states & capitols you can by writing directly on top of your screenshot. What are some possible adaptations to running a lesson with this? 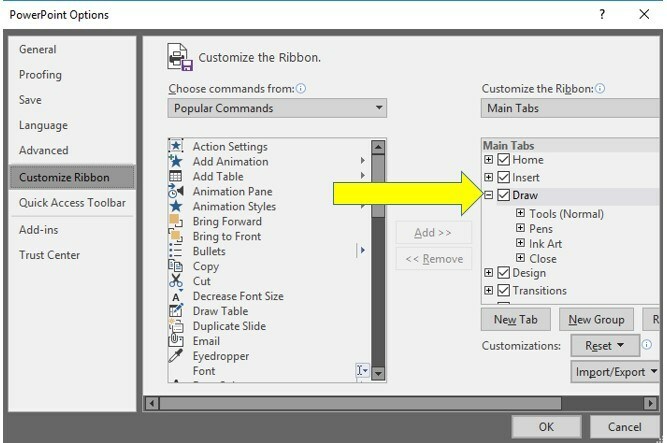 You can also use the Draw tab on the ribbon to use Inking features in Office product. Practice in tablet mode – Draw on presentations. Be sure not to save the PPT with the drawings, as they will remain on the presentation. Basics: must have a Windows 10 laptop & Wireless Display Adapter installed on projection device. First, direct your display device to the source where your adapter is connected. Projectors, use your Source Search. TV's use your various input jacks. Second, select your Action Center and select "Connect"
Third, select the appropriate device from the list that appears and wait for it to connect. Troubleshooting: this process works 90% of the time, but several factors play a role. Let's talk about some troubleshooting we can do to ensure we can use this in class. Click HERE to access the Session Evaluation!